Most of us spend high school dissecting frogs and feeling awkward at the occasional dance, but a small group of students in Spain got to do something far cooler with their educational time: they sent a digital camera into space. 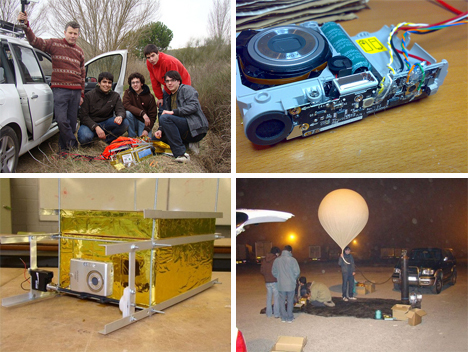 A teacher and four students from IES La Bisbal School in Catalonia, Spain bought a $60 heavy-duty latex balloon and rigged an $80 Nikon Coolpix digital camera to it, then sent it up into the sky to capture some high-altitude pictures. The team only wanted to see if they could get their homegrown weather balloon to fly to 30,000 feet, which is the altitude that most commercial aircraft fly at. 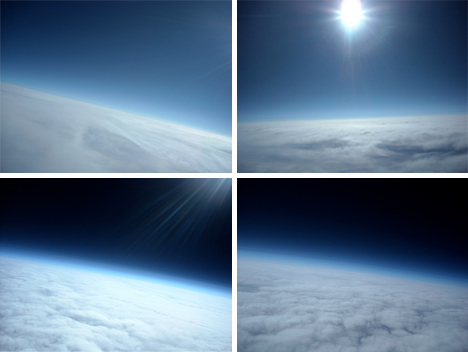 But the balloon just kept climbing until it was 20 miles above the Earth, at the very edge of space. 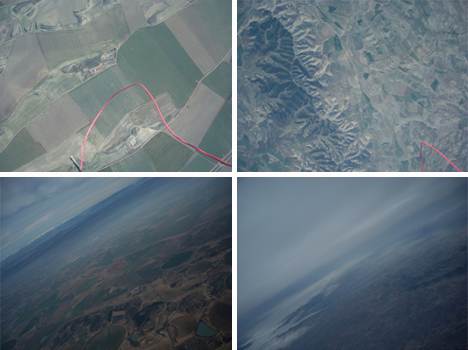 Tracking the balloon’s progress using meteorological sensors and Google Earth, the team kept track of atmospheric conditions and snapped a handful of amazing pictures. The four students, Gerard Marull Paretas, Sergi Saballs Vila, MartaÂ­ Gasull Morcillo and Jaume Puigmiquel Casamort, and their teacher, Jordi Fanals Oriol, completed the experiment in February 2009. 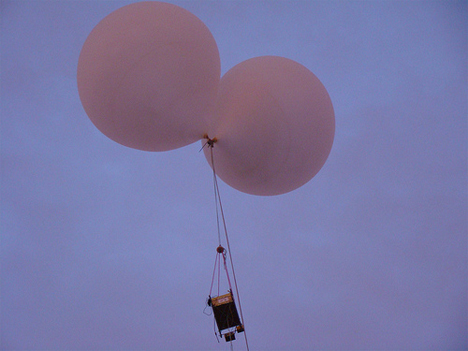 The team (known as the Meteotek Team) built the electronic sensor components themselves, then placed them, along with the camera, into a protective housing before releasing the rig into the sky. The balloon was inflated with helium and rose to an altitude of over 100,000 feet before losing inflation and falling back to the ground. The team traveled over 10km to find the balloon and equipment. They were amazed to find that the equipment was still emitting a signal, despite being exposed to some extremely harsh conditions. See more in Do It Yourself or under Technology. September, 2009.